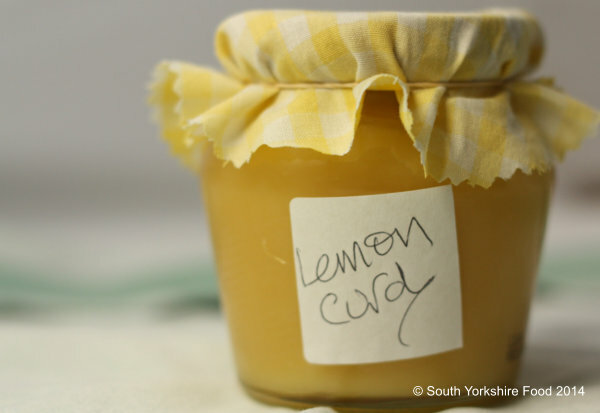 Lemon Curd has been a teatime favourite since the nineteenth century - try it spread on scones, pancakes or waffles. You can also make it with limes, oranges, or even raspberries! Makes about three 350ml jars. You will also need 3 hot, sterilised jars, and wax jam disks. Grate the zest from the lemons and then juice them removing any pips. Cut the butter into small pieces and let it come to room temperature. Break the eggs into a sauce pan and lightly whisk them together. Note: do this with no heat turned on. Add the remaining ingredients and place over a medium heat. Now gently whisk continuously using a balloon whisk until the mixture thickens – about 7-8 minutes. Then lower the heat to its lowest setting and let the curd simmer gently for another minute, continuing to gently whisk. Now remove it from the heat and pour the curd into the hot sterilised jars. Whilst still hot, cover with the waxed disks and seal the jars. Label the jars when they are cool.